Value is defined as the ratio of utility to price. Or are you searching for something more? 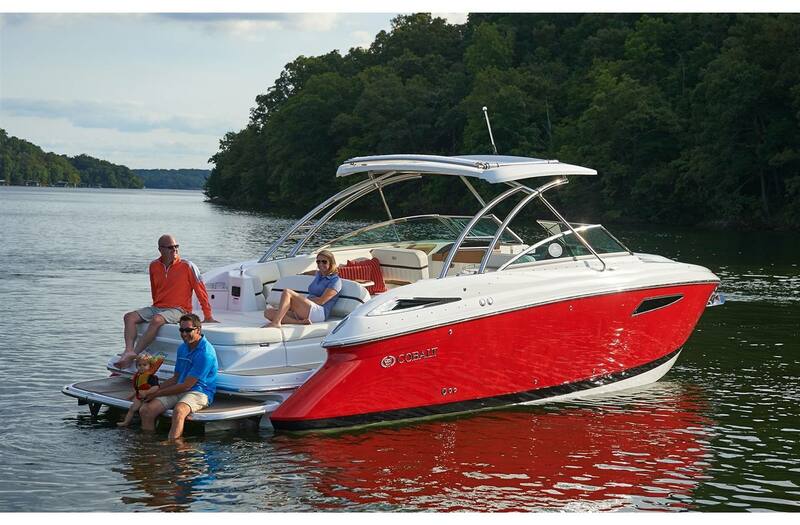 The Cobalt R35 is the newest addition to our award-winning line of bowriders. 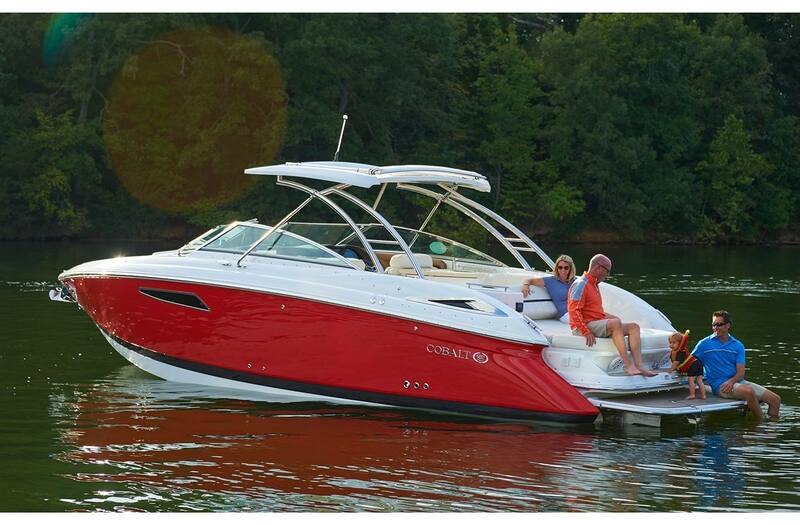 She's a hybrid open-bow day boat designed with the leathered luxury of a well-appointed mid-cabin. At first look, the panoramic side windows in the hull bring the outside in, and reflect the envious stares of dockside passersby-ers. Even the windshield invites further investigation of its stainless-steeled strength, its wraparound handsomeness. The cabin is snug and expansive, with a sofa stretching out there nine full feet and swiftly changeable to a berth capable of sleeping two adults and a three-year-old interloper. The cabin makes full and fine use of its spaciousness, by turns air-conditioned or heated as the day's outing or the week's cruise might require. Inside, a cabinet designed to very specific purposes of entertainment come a 32" LCD HD television, a DVD player, and a play-station hookup. The portside head compartment looms enormous, ready to double as a shower seat. 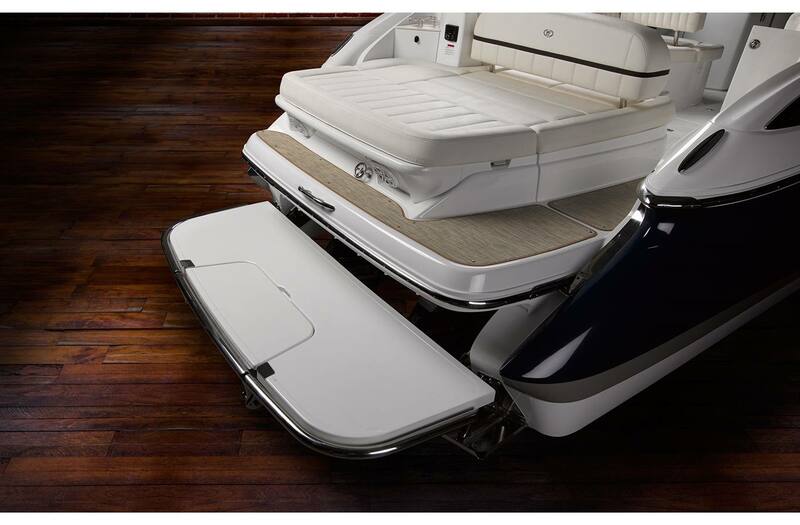 The largest of the R Series, the R35 also features a hydraulically actuated swim platform that lowers to below the water's surface, plus the added depth of the exclusive swim step. Also astern, find a beach of a sunpad - large enough for four sun worshipers. And when it comes time to gather around for some good fun and conversation, make useful our convertible layout in the cockpit. At the helm, the captain will find that the glass cockpit design provides a birds-eye-view for a safe and enjoyable day on the water - equipped with Garmin screens that keep your systems in view at all times. We cannot forget about the available joystick control with its easy maneuverability and simple operation. That's right - easy and simple - all with a touch of class and style. The Cobalt R35. Length Overall w/ Swim Platform: 34 ft. 9 in. Interior Cockpit Width: 9 ft. 0 in. Holding Tank Capacity: 28 gal. Bridge Clearance w/Arch: 8 ft. 10 in. Draft Drive Down: 35 in. Dinette Table w/Bow,CP & Cabin Recept. Premium Sound System w/Transom Spkrs. Drive Up: 24 in. ; Drive Down: 35 in.